I know I don't have a lot of readers, but if you are reading, will you please take a moment to say a prayer for the Wenzel family? Father, mother and eleven children ages 11-28. The father of the family has cancer that has metastasized to several of his organs. 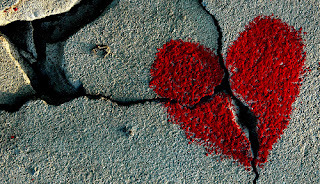 Yesterday, one of the children, a young man about twenty years old, died. I am not sure of the circumstances of his death, just that it happened suddenly. My husband and I were asked, three weeks ago, to be godparents for a baby who is expected to make his or her appearance in the world in February. We are honored for a number of reasons: firstly, of course, anyone should be honored to be asked to be godparents for a child, because it's very important; secondly, even though we have lots of Catholic friends with young children, it's the first time we've been asked; finally, we've only known the parents for about six months. It's an incredible sign of trust (and also, unfortunately, a sign about the unsuitability of their family for that role and the problem of being recently returned to the practice of the faith) to ask us to be a part of their child's life for...forever, pretty much. Then, this morning, came a request from another friend. Each of her four children has a different set of godparents. Three sets are great. But their five-year-old son's godparents are now agnostics, and she's concerned because the kid needs prayer. Even the best-intentioned five-year-old boy can get into amazing scrapes, leaving even the most disciplined of parents bewildered. She has asked us to be unofficial godparents for her boy. My first thought was, "Of course!" My husband and I love the whole family dearly, and to be part of the family in that way is very special. But, then, the heartache of my own infertility, which has been at the forefront of my thoughts so often lately as my four closest married friends here are all pregnant, crept to the fore again. Two requests to be spiritual parents in less than a month? Is God sending me a sign that spiritual motherhood is to be my lot? Maybe I'm reading too much into this. Maybe it's just a sign that we're making new friends as adults for the first time (as opposed to college and high school friends) and taking on the roles that come with being adult Catholics. Our practice of the faith, because of our roles as church musicians (and my husband's role as parish employee), is very public, and our new friends can see us there, every Sunday, at prayer, and it's easy for them to discuss religious matters with us. There's no dancing around, trying to figure out whether we are faithful Catholics and think with the mind of the Church--we're just out there, for all to see. And some of our friends like what they see, enough to want us to be spiritual guides for their children. It's very flattering, and we are ready to take that responsibility seriously. 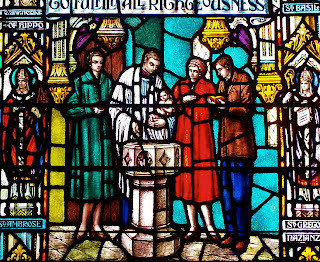 Still, I can't help but wonder whether we will ever have the (sometimes difficult) job of choosing godparents for a child of our own. Last night I saw the northern lights for the first time! Anchorage Daily News has pictures of last night's spectacular show. And today, it's snowing. Great big flakes have been falling for over an hour now. On our way home from brunch with a friend we stopped at the store to buy a snow shovel and snow brushes/ice scrapers for our cars. Then we took the dog for a 20-minutes walk in the snow. We really do live in ALASKA! I and many others here are currently participating in the 40 Days for Life, praying on the sidewalk outside Planned Parenthood here in Anchorage. The sidewalk is being manned 7 days a week from 8am-8pm. Mostly I go with our parish's young adult group. On Friday this week, I did an extra hour because there was a gap in volunteers. The man who took the 8am shift didn't want to leave until someone else came--but at 11:45 he called Megan, the organizer, to ask if anyone else was coming any time soon. She posted on Facebook, and since I had a gap in my day, I drove down there to relieve him. He was so brave to stand out there all by himself, in the cold rain, for four hours! He told me that he had never done anything like that before! So, kudos to you, Brian, wherever you are. You're my hero of the week. Others had heard the call, too. Almost as soon as I took over from Brian, two parents with their five children came to stand with me. I recognized them as parishioners from St. Nicholas Byzantine church. And one of the women scheduled for the 1pm slot came half an hour early--she's a parishioner at St. Nicholas, too. Byzantines, represent! Last week I was privileged to hear Mr. Mario Bird, an Anchorage local who was a teacher at Holy Rosary Academy here before going to law school at Ave Maria, speak at our monthly Theology and Brew. The topic was the life of Archbishop Charles Seghers, founder of the Alaska Mission. 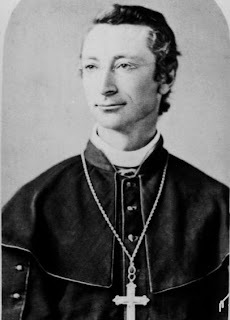 If you've never heard of Archbishop Seghers, who was Bishop of Victoria Island (now Diocese of Vancouver) , then Archbishop of Oregon City (now Archdiocese of Portland). He requested to be transferred back to Victoria Island, despite the move being a demotion in rank as it was not an archdiocese, in order to continue his missionary work to Alaska. He had also been an attendee at the First Vatican Council and the Third Plenary Council of Baltimore, and in Oregon he is remembered for his staunch defense of Catholic education against the encroachment of government schools, and for his invitation to the Benedictines which resulted in the establishment of Mount Angel Abbey. During his first tenure as Bishop of Victoria Island, he had established a mission at Nulato, AK, called "Our Lady of the Snows." During his second tenure, he established missions at Juneau and Sitka. He was greatly desirous of returning to Nulato, since he had promised the people there that he would come back, and undertook one more journey into the interior of the territory. Unfortunately, he chose poorly in the matter of a traveling companion. He set out with two Jesuits and a layman called Frank Fuller who was well-known to the Jesuits, because he had worked as a teacher and handyman at several of their establishments in the Northwest (including at Gonzaga, my own alma mater). Fuller had several times requested admittance to the Jesuit Order but had been refused because they thought him unstable. As winter came on, the Archbishop left the two Jesuits behind and continued on with only Fuller and two native guides. Fuller's behavior became increasingly erratic, as noted in Seghers's diary, and on November 27, Fuller shot and killed Seghers with the archbishop's own rifle. Bishop Seghers was only 46 years old at his death (he had been consecrated a bishop at the very early age of 33). Seghers probably will never be considered a martyr, since the man who killed him was mentally unstable and since the archbishop had chosen him as a traveling companion against the advice of others who knew Fuller. Nevertheless, the dramatic manner of the archbishop's death stirred up interest in missionary work in Alaska, and mission work is ongoing. There is a small but growing movement asking that Archbishop Seghers's cause for canonization be opened. If you want to know more about him, two biographies exist, one of which tends toward the hagiographical and the other which plays a Devil's advocate type of role. Even the latter acknowledges Seghers's humility and zeal for souls. I hope you all saw this recent article from Crisis Magazine: Paint-by-Number Hymns. I can't say that I've had the displeasure of singing any of the hymns described in the article, although I have certainly had my fill of Hallmark Card-grade poetry in hymnals. Go, read, laugh. Tonight I sang for Divine Liturgy for the Nativity of the Theotokos. Yes, the feast is tomorrow, but Byzantines count the day from the evening before. The Proper texts for the feast are beautiful. 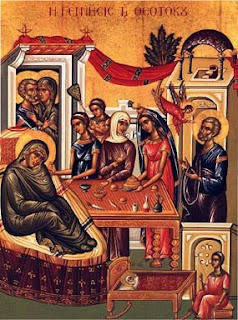 "Your birth, O Virgin Theotokos, heralded joy to the universe; for from you arose the Sun of Justice, Christ our God. Removing the curse, he gave the blessing, and by destroying Death, he granted us eternal life. "At your holy birth, O Immaculate One, Joachim and Anna were freed from the reproach of childlessness and Adam and Eve from the corruption of death. Your people, delivered from the guilt of their faults, celebrate your birth and cry out: The barren woman gives birth to the Theotokos and the Sustainer of our Life." "Extol, extol, O my soul, O my soul, the Virgin Mary born of the barren woman. Virginity is something foreign to mothers, and childbearing is strange for virgins. But in you, O Theotokos, both the one and the other have come to pass. Therefore, we, the peoples of the earth, unceasingly extol you." The kontakion text, at least part of which is also repeated in the Divine Office for the day, especially touched me. "Joachim and Anna were freed from the reproach of childlessness." In the ancient world, childless couples might be considered either cursed by a wicked person, or punished by God for some unknown sin. 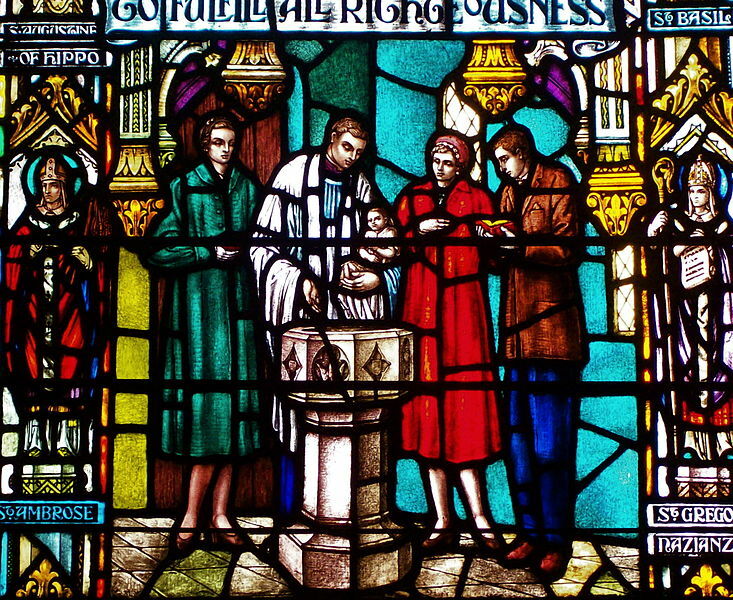 So, others might have thought Joachim and Anna were childless because they were sinners, when really it was a natural phenomenon that God chose to override by giving them a child in their old age--and what a child! The only woman ever born sinless. These days, many couples really are childless because of their sin--the sin of contraception. Unlike in the ancient world, these couples choose not to have children. In many places, they are not reproached for this decision. However, some couples are childless not because of their own sinful choices, but because of disease or malfunction of the body, or just because, for some reason, God has chosen not to bless them with children. In the Catholic world, childless couples are sometimes viewed with suspicion. People make assumptions that the couple are childless because of sin, rather than because of nature. This is really unfortunate, because often the couple long for children and the insinuation that they have deliberately prevented themselves from having children is hurtful. Yet, infertility is a very personal matter and can be uncomfortable to discuss, so correcting these assumptions is difficult. Remembering the joy of Joachim and Anna, like the joy of Elizabeth and Zechariah and all the other couples who were thought barren but were blest by God, gives me hope. Maybe God will bless us with children, and we will no longer suffer the reproach of childlessness. Or maybe He will bless us in other ways, who knows? After my experience leading the singing at the Byzantine parish on Sunday, I started thinking. Always dangerous, I know. What I started to think was that there should be a merit badge system for church musicians, like scouts. There should be a set number of badges at each level, earn a new badge and you move up. We could name the levels after the choir of angels. The lower level would include things like join the choir and play in the handbell choir. Somewhere in the middle is planning the music for an ordinary Sunday Mass with choir. Advanced levels are singing all the Gregorian propers for High Mass all by yourself, acting as cantor for a rite that's not your own and conducting a choir in a polyphonic Mass setting. What's that you say? A convenient coincidence that I've done all the things I've proposed as "badges" to earn? Nope, not a coincidence. I just like to brag. I suppose there is a super-advanced level that I have not yet achieved, for example, singing at Holy Qurbana or the Liturgy of St. James would be truly an accomplishment for a Westerner. I'm a day late, I know. I was with my Byzantine brothers and sisters this morning to celebrate. Actually, I was filling in for their cantor who was, I guess, gone for the weekend. It was my first time being anything other than a member of the congregation for the Divine Liturgy of St. John Chrysostom. My singing didn't sound like this. I was late on a couple of entrances. Near the beginning, I got flustered and turned over two pages instead of one. Father stopped and asked me to go back to the antiphon that I had accidentally skipped. That was embarrassing. It got better as we went along, and three or four people came up to me afterward and said, "I've had to fill in as cantor too, it's hard, and you did it much better than I did!" Father said it was fine and that he hopes I'll come back again and help out, so I guess I didn't do too badly, or at least, not worse than other folks who've filled in for the regular cantor. And now, back to your regularly-scheduled Roman/Dominican liturgical programming. Looking at the wedding photos on Facebook of someone who was once a good friend, who was prominently featured at my own wedding, but whose nuptials I was not invited to. Singing at funerals for which we don't get to choose the music, even though the family has no special requests. I know that I could have given them much better music--music that will actually be a prayer for the deceased as well as comfort to the living--but I wasn't allowed to. Fortunately, for the second funeral of the week my husband chose the music. It was far more prayerful and dignified. Being offered a set of medals blessed by Pope John Paul II by a well-meaning fellow parishioner, who believes that the medals will bring safe delivery for pregnant mothers. "Didn't someone tell me that you're pregnant?" she asks. "I'm not," I reply. Her face falls and she looks confused. I rush to add, "But I hope to be!" She seems a little reluctant to let me keep the medals, but I'm not willing to let them go. "Let us lay down our weapons of might. Stockpiles but lead to terror and fright. Wealth that is wasted, anger unfurled. Let bombs be changed to bread for the world." Folk songs can definitely be a force for good under certain circumstances. For example, some of the songs of Tommy Sands materially contributed to the lessening of hostilities in Northern Ireland, and some songs can still serve as ways of telling history, remembering important names and dates, and conveying other information. The singer Robbie O'Connell frequently performs what might be Sands' most famous composition, "There Were Roses." In the original version of the song, the names were the names of two real boys who died, young men that Sands knew. The names have since been changed at the request of the families. But Robbie tells a story from several years ago when he still sang the song with the real names and performed it on stage in California. After the show, an immigrant from Northern Ireland approached Robbie and asked if the song was true. When he confirmed that it was, the audience member thanked him for singing the song and said that she used to know those young men, but had not stayed in touch with folks back home and had never heard about their sad fate before. Nevertheless, the type of protest song typified by the hymn lyrics above is not appropriate during Mass. On the one hand, the Scriptures do tell us that peacemakers are blessed (and I'm pretty sure Our Lord wasn't talking about the Colt Peacemaker), and that one day swords will be beaten into plowshares. The popes and bishops tell us that we have an obligation to work for peace. However, we cannot delude ourselves into thinking that there will ever be a true and lasting peace in this world, this vale of tears. Human nature is fallen, and although Christ has redeemed us, we are still subject to concupiscence and Satan is still at large, bringing chaos and seeking the ruin of souls. Only when Christ comes again will wars truly cease. As Christians, our work for peace has the possibility of mitigating the effects of war but never totally eradicating it, just as we can never totally eradicate poverty (which Our Lord has also told us: "The poor you will always have with you"). This eradication of poverty is also a frequent theme of "social justice" hymns. Somehow, mystically, our actions of charity will contribute to the ultimate eradication of poverty at the end of the world, but we will not see the full realization and completion of our work in cooperating with Christ until that day and it is not in keeping with the Church's understanding of Scripture to claim otherwise. Because of this reality, the suggestion that we should all entirely lay down our weapons is a bit bizarre, in light of the Church's teaching that we have the right, and sometimes duty, to defend ourselves and others against attacks on life and limb. Weapons even the odds between me and potential attackers who may be much larger and stronger than I am, and this is true on both a personal level and on the level of nations. From this perspective, to call for everyone to give up the tools of physical warfare is not appropriate. Ultimately, yes, we will all lay down our weapons, and we ought to look forward to that day, and not delight in the necessity or action of self-defense, but you cannot deny the reality of this world or pretend that peace will come in our time unless it be through the Second Coming of Christ. Yesterday--Saturday--didn't start off well. I slept late, didn't get my chores done, and had to choose between grocery shopping and going to confession because I couldn't fit both in before I sang at the 5:30 Mass. I chose confession. Even that didn't start off auspiciously. My husband and I both prefer as much anonymity as we can get in the confessional, so we go to our territorial parish rather than the church where he works and where all the priests know us quite well. We arrived very early so as to be first in line, so we could make it down to the other church where we were going to Mass. Just after confessions were to start, the nun who works at the parish came into the church and announced that she didn't think the substitute priest had been told about confessions, and she didn't have his phone number. Great. Now I had to either skip--not an option, as I really needed confession--or go to a priest who knows me, the thought of which made me feel sick to my stomach. (Yes, I know I have a problem. I am working on it.) We drove down to the church, I stood in line, I managed not to throw up, and I made my confession. I sang at Mass, received the Eucharist, and felt pretty good. I could have slept in today and spent my day mostly at home, but something prompted me to go to Divine Liturgy at the Byzantine parish this morning. So, I got up at 6am (5.5 hours of sleep), got my husband out the door to work and got ready for Liturgy. One of my friends, who has five children, sat in the pew with me. Her husband wasn't able to come today and she was really struggling with her two littlest ones this morning. I was able to hold the baby while she wrangled the toddler. It was nice to be so useful. The homily, about the virtue of prudence, was really good. I stayed almost two hours after Liturgy chatting with friends. Even then, I still managed to do the shopping, laundry and dishes I should have done the day before, cook a tasty and healthy dinner, and enjoy a quiet evening by the fire with my husband. And all that on less than six hours sleep and with only a yogurt for breakfast and a blueberry muffin and some coffee for lunch. It all started with confession yesterday. Be brave, friends, and go to confession. It is really difficult at times, but God's grace is magnificent and He will reward your courage. Here are two videos of three-year-old girls, the first singing the Requiem Sanctus and the second singing the Pater noster. Both have a general idea of pitch and a good grasp of the words. Our Latin Mass choir here has, counting myself and my husband, three men and eight women. The oldest person in the choir is about 40, or not much older, four of us are in our 20s, and four are teenagers. In contrast, there is currently no one in the parish choir, that sings at the main English-language Mass of the day, who is under 50. ...here are some recordings you might want to have a listen to at the end of your Assumption Day. 1904 recording of Dom Pothier directing the Choir of the Benedictines of San Anselmo singing "Gaudeamus omnes," the ancient Introit for the Assumption (changed after 1950 to "Signum magnum" but now both are options). Master Leonin of Paris, "Propter Veritatem," before 1950 the Gradual chant of the day. Tonight we are celebrating the Vigil of the Assumption in the Dominican Rite. The priest will be vested in purple, and there is no Alleluia for the vigil. This has prompted some discussion among my friends about how we observe vigils and feasts, and how current observation of vigils and feasts differs between the Ordinary and Extraordinary Forms of the Roman Rite, and between the West and East. There are many differences, and I don't really have time to meditate on them now, but I just want to say that I really deplore the practice of using the readings for the feast day if vigil readings are available, and of using Mass at Dawn or Mass During the Day propers for all the Masses of Christmas or Easter instead of using the correct set of propers for the time of day. This got me thinking a little about life here in Alaska. The Church's rules for Masses linked to a time of day often have to be fudged a little because of our extremes of daylight and darkness. For instance, in most places, Christmas Mass at Dawn would be your 7AM Mass and the 9:30 would be Mass During the Day. But here, 9:30 would be Mass at Dawn and 7AM would be...what? There isn't a provision for Mass between midnight and sunrise, but the sun comes up really, really late at that time of year in Anchorage. And in some places in Alaska, the sun doesn't come up at all on Christmas Day. I know that the archbishop here makes a yearly decision about when the Easter Vigil can start. If we waited for "sunset" by some standards, especially if Easter is in mid-April, the sun won't be going down until 10PM. 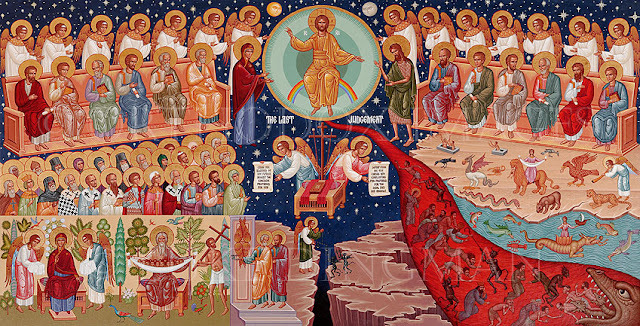 I don't have an objection to Mass that late--I've twice been to Russian Catholic Pascha services that started at midnight and went until 4AM and loved it! But it can be really hard for priests who are elderly or in ill-health to manage late-night Masses, so we make concessions. I don't know if he does the same for Christmas. As I said, it's not as big a concern in the Archdiocese of Anchorage as it is for the Diocese of Fairbanks. But I will be interested, as we get nearer Christmas, to find out exactly how we do things here in the frozen north. In the meantime, I will enjoy the sunshine and the remaining summer weather. These spectacular fairytale mushrooms are all in my backyard! 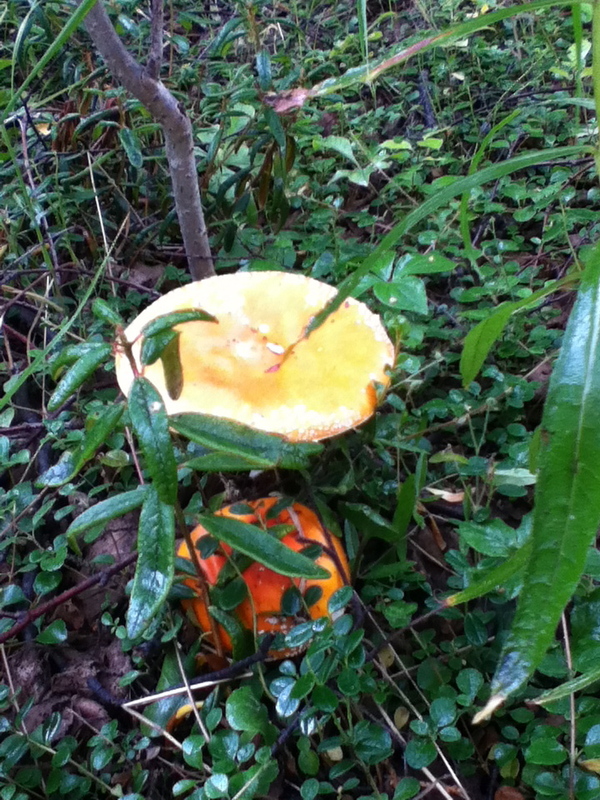 Here are two growing together. I thought this one was a tomato that someone had thrown into our yard, until I got a closer look. 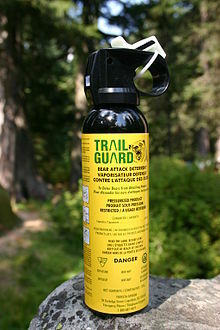 ...the need to carry bear spray while walking the dog. A black bear, estimated at about 300 lbs, has been seen in several places in our neighborhood in the last few days, mostly in the early morning. All the sightings are assumed to be of the same bear. Be careful out there! There's a reason Anchorage's city motto is "Big Wild Life." Life here is big and wild, and the wildlife is big. Every decade or so, a young kid, usually a girl, appears singing some sacred favorites, folk songs, and a little bit of opera. She is hailed as a miniature opera singer and makes a lot of money touring around and selling CDs and appearing on television. Some of them continue to have singing careers as adults. Charlotte Church was very famous as a child singer when I was a kid (she's a year younger than I am). She had a "classical" career from 1998-2002. She then tried to transition into a pop career, releasing an album in 2005 and another in 2010, along with several singles. This has brought her nowhere near the success of the semi-classical music, to the extent that a lot of Americans who loved her early stuff now have no idea that she's still working. Jackie Evancho is the latest young sensation. Her vocal technique is very wonky--just look how her jaw wobbles when she sings!--but her fans insist that her team of coaches, doctors, and promoters will make sure she doesn't injure her young vocal apparatus. Personally I think they'll just make lots of money off her while they still can. A lot of professional musicians look at the likes of Jackie Evancho and offer her up as an example of why children shouldn't start voice lessons. The vocal apparatus of a child is delicate and working on repertoire intended for adults can seriously--perhaps permanently--damage a child's voice. However, I think that the right kind of vocal training is good for a child. Sensitive training of the child's ears, sense of rhythm, sight-singing ability, breathing and posture is more likely to prevent problems later than allowing a child to sing any which way until the age of sixteen or seventeen, since a child who wants voice lessons IS going to sing regardless of whether they receive lessons. Singing along with the radio might help develop a child's musical sensibilities, but, especially depending on what they're listening to, it might be harmful to the actual vocal chords and create a lot of bad habits that will have to be unlearned later. Better to develop good habits early than have to unlearn bad ones. My parents called several voice teachers when I was nine years old. Most of them wouldn't take me. They eventually found one who agreed to meet me, hear me sing, and then make her decision. She took me on, and I'm really glad she did. Lisa was my voice teacher for eight years and I know I wouldn't be the musician I am today without her. She also taught me a lot about life, people, and not taking myself too seriously, particularly when I suddenly got shy as a teenager ("The song is called 'I'm Just a Girl Who Cain't Say No,' WHY are you singing it like a nun?"). She guided my young voice in the way it should go and made sure that I learned good breathing, used my head voice, and didn't try to sing like a 35-year-old jazz singer when I was 11 (I listened to a lot of Ella Fitzgerald in those days). I would have been singing anyway. When I was 12, I was in three choirs. I was developing an interest in Irish folk songs. I had an almost insatiable appetite for listening to music (it was probably a good thing for my school grades that YouTube hadn't been invented yet). I could have done myself a mischief if not for Lisa's excellent instruction. I hope I can provide that service for some other youngsters in the future. Could there be any better way to celebrate the Feast of St. Dominic than to attend a High Mass in the Dominican Rite? Well, I guess it could have been Solemn High Mass. The Mass was lovely. It wasn't perfect, there are things that I'm sure will go better next time, but it was very good and the church was packed. It was a full hour and a half long, and almost everyone stayed until the last strain of the closing hymn. The new recruits in the schola sang well. I've had a cold/sinus infection and have been voiceless for a week, but I really look forward to singing with all the new schola members at our next Dominican Rite High Mass, for the Vigil of the Assumption. We've previously had High Mass every Sunday, but are taking a break and having mostly Low Masses in July and August because so many of the schola and altar servers keep disappearing on vacation. We'll resume the regular schedule again soon, and I know it's going to be great! Alaska has a uniquely integrated state symbolism. Most states have a flag, a motto, a song, a state flower, etc. and none of these things has much to do with any of the others. 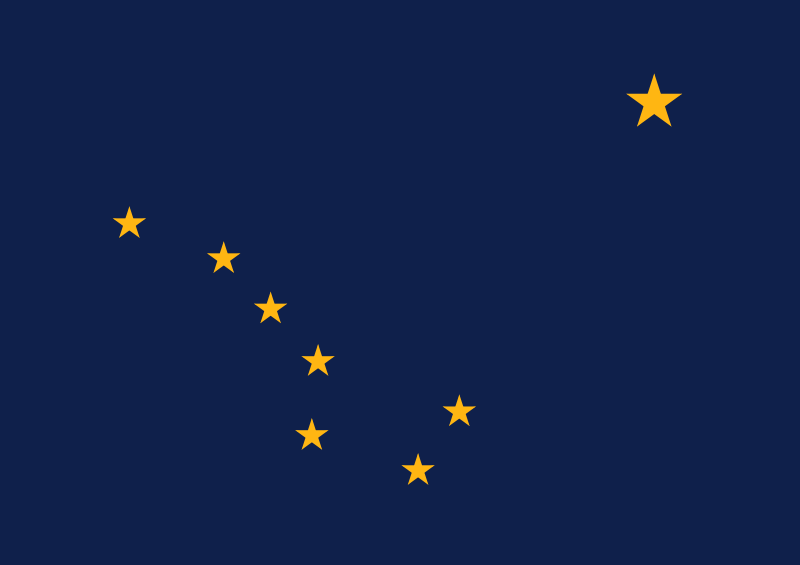 In Alaska, the state flag came first, designed in 1927 by then-13-year-old Benny Benson as part of a contest for school children. Benny described his inspiration for the flag. "The blue field is for the Alaska sky and the forget-me-not, an Alaskan flower. The North Star is for the future state of Alaska, the most northerly in the union. The Dipper is for the Great Bear--symbolizing strength." In 1935, Marie Drake wrote a poem inspired by the flag design. Entitled "Alaska's Flag," it was set to music two years later by Elinor Dusenbury, and in 1955 the song was adopted as the official state song. The forget-me-not, one of the inspirations for the color of the flag, had been the official flower when Alaska was still a territory, and continues as the official state flower. The motto "North to the Future" was adopted in 1965 and echoes Benny's explanation for his inclusion of the North Star in the emblem. There are lots of things that don't fit with the flag, song, motto, and flower--for instance, although a constellation representing a bear is on the flag, the state land mammal is the moose--but it is nice that at least four symbols of the state are linked in this way. My home state, California, does have a link between its flag and the official state animal, the grizzly bear. Unfortunately, the animal is extinct in the state that it represents. Are you looking for a family-friendly television series? Do you have a Netflix subscription? I recommend that you check out "Bless Me, Father." There are 21 half-hour episodes, currently available either streaming or on DVD. The series originally ran 1978-1981 and centers on the parish of St. Jude in suburban London. The main characters are Fr. 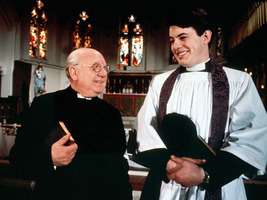 Duddleswell, the pastor (played by Arthur Lowe, who also starred in the better-known "Dad's Army"), Fr. Boyd, the young curate, and Mrs. Pring, the housekeeper. Other recurring characters are the hard-drinking Dr. Daley, the nightclub owner and rectory neighbor Billy Buzzle, and the formidable Reverend Mother Stephen. Most of the action takes place in the rectory and church. Fr. Duddleswell spends much of his time trying to get more money for the parish, often involving himself in questionable schemes. He is rarely successful. Fr. Boyd is still learning the ropes as a priest, and some episodes feature Fr. Boyd's first experiences hearing confessions, instructing converts, and having his commitment to priestly celibacy tested (this issue is handled with surprising sensitivity). Any Catholic will probably recognize people and situations they've known in this series, perhaps especially in the relationship between Fr. Duddleswell and Fr. Boyd. I hadn't heard of this series until it came up in my Netflix recommendations, but I'm glad I gave it a chance. The plots are simple, the jokes are gentle but funny, and I think many families would enjoy this series. Chesterton must have appreciated that Vaughan Williams based his hymn tune on a folk song. Chesterton was still alive when the setting was done, but I have never seen any documentation about what he thought of it. According to the received wisdom, hymns that mention swords in every verse, criticize politicians, and admit the possibility of damnation will not be popular with modern congregations. There were no complaints, however, about last weekend's use of it except that the hymn tune was a little unfamiliar--concerns assuaged when the complainers were assured that they'd have another crack at it this weekend--and one person even called the office to ask if he could get a copy of the text, because he liked it so much! The received wisdom is wrong. 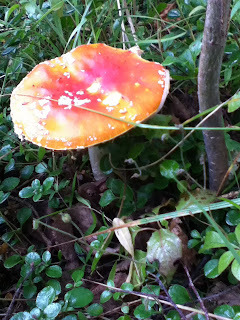 People, normal people at least, like strong hymns now and again, especially if the poetry and music are good. Perhaps we'll be able to sing Chesterton's "Hymn for the Church Militant" some time. I am not sure if there are any Vaughan Williams tunes that would fit it, but the meter is common enough. Most of Vaughan Williams's melodies are fantastic--truly the great hymn tune writer of the 20th Century--and I think the combination of his music and Chesterton's words is wonderful. If only there were a dozen more hymns like that, any complaints that Sunday Mass had become to feminized and unmanly would soon disappear, at least from our parish. That paragon of manly virtue, the newly named Venerable Fulton Sheen, would be proud. At least there was some good news for America today, eh? 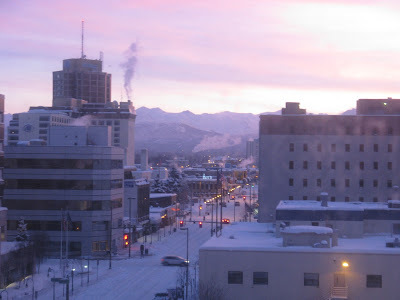 When we came to Anchorage in February, we were getting up very early because we were still on Eastern Standard Time (four hours' difference), but the sun did not get up early. On our first day, the clouds hung low and it snowed steadily all day long--about eight inches of snow that day, as I recall. One of our new friends tried to take us on a driving tour of the city, but we couldn't see anything but white snow and gray buildings and white and gray clouds. I was very apprehensive, because it really looked like this was the right job for my husband, but I was not at all sure that I wanted to live in this awful place! The next morning, we got up early again, well before the sun. We puttered around in our hotel room, killing time until we could reasonably go down to breakfast. 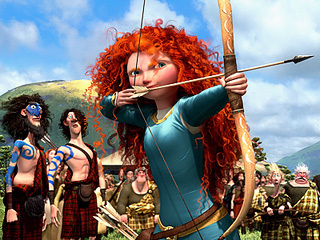 Finally, rosy dawn crept up into the sky, and I saw those mountains for the first time. I fell in love. I grew up in Northern California, and spent time in the state of Washington, then moved to Los Angeles, where I had a great view of the hills from my 8th floor apartment. I was used to hills and mountains, but I had never seen any mountains quite as dramatic as the Chugach range that surrounds Anchorage, and after two years in Eastern North Carolina, as flat as can be, I was thrilled to the core. I am, at heart, a creature of the places where forest and mountains meet the ocean, and I suddenly felt like this wouldn't be such a bad place to call home. After years of blogging with my former college roommate, I've decided it's time to strike out on my own. I've lived all over the place since I started my previous blog, Catholics, Musicians, Students, in 2003: Washington, northern and southern California, and North Carolina. 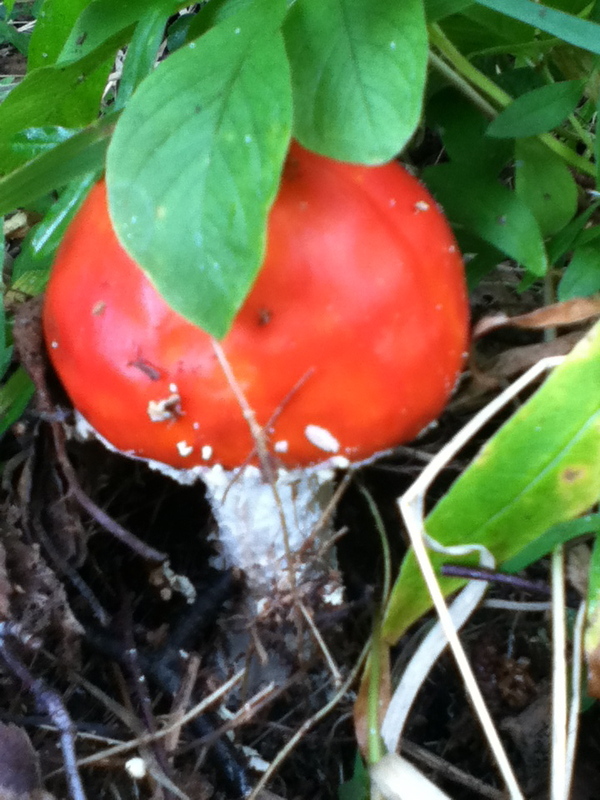 I'm now resident in the Municipality of Anchorage, Alaska, which is the inspiration for the title of this blog. I haven't yet endured an Alaskan winter, but came to look the place over in February of this year and moved in April, so I did get a little taste of the worst winter in 50 years, and I know I'll get my fill of snow soon enough. 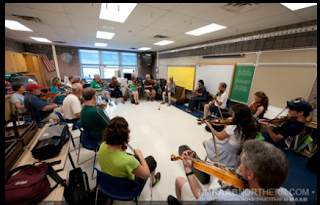 This blog will cover various aspects of life in Alaska, being Catholic, and my favorite topic: music, especially sacred music. My husband is a professional choir director/organist and I perform, teach private lessons, keep house, and sometimes write. I have a B.A. in Music, emphasis in Liturgical Music from a Catholic university, and unfinished graduate work in Historical Musicology from a private, secular university.